This utility helps you to convert the not recognized dates in the selected cells. Sometimes Excel treats dates as text. This problem often occurs when data is imported or copied from other programs. The problem is often caused by a difference between the date formats in your data and the local settings on your computer. When Excel doesn't recognize these dates, they are left aligned, the cell formatting to display the dates doesn't work and you can't use them in your calculations. 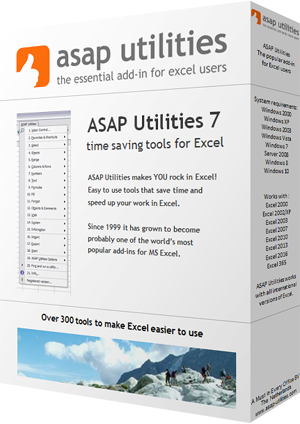 With this utility you can quickly convert them so that Excel recognizes them as proper dates. The text-date values all have to be constructed in a similar logical way in order for this utility to convert them.